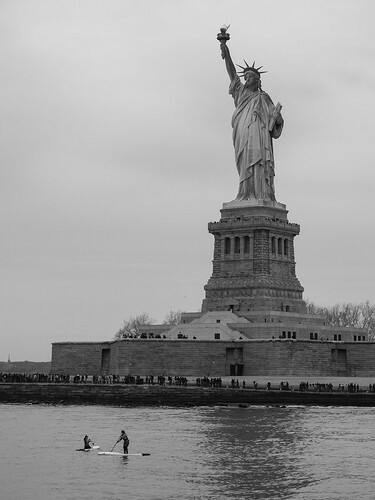 Located in the New York Harbour, the Statue of Liberty was an international gift of friendship from the people of France and has become an icon of freedom, democracy and the United States. 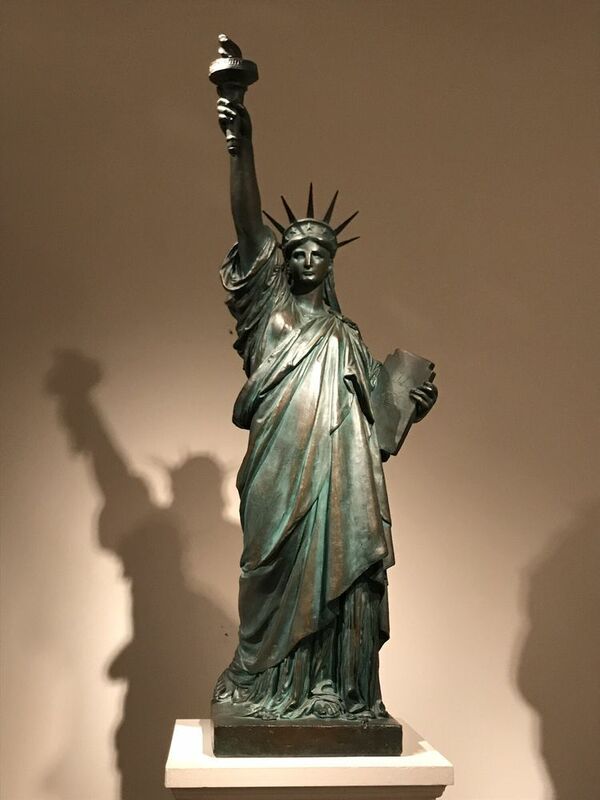 Designed by Frédéric Barthold, Lady Liberty's robe is representative of the Roman goddess of freedom, Libertas, bears a torch symbolising America's pursuit of enlightenment and clutches a tablet bearing the date of America's independence in Roman numerals. 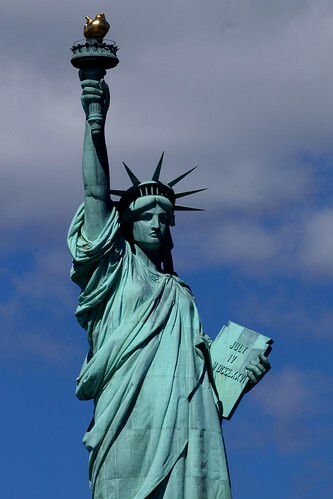 Standing 152 feet tall and raised on a 150 foot pedestal, the hand-hammered copper skin and steel support skeleton were shipped from France in 350 pieces, the Statue of Liberty took four months to assemble and was dedicated on October 28, 1886. 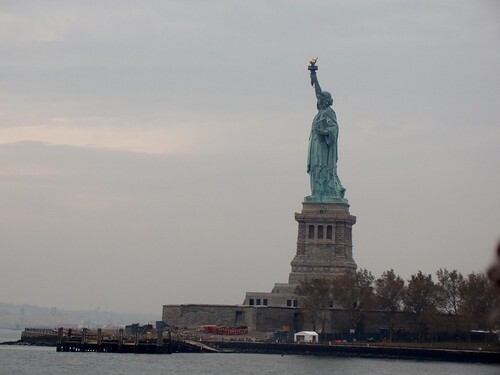 Access to the Statue of Liberty is limited to ferries through Statue Cruises departing from Battery Park in Lower Manhattan. 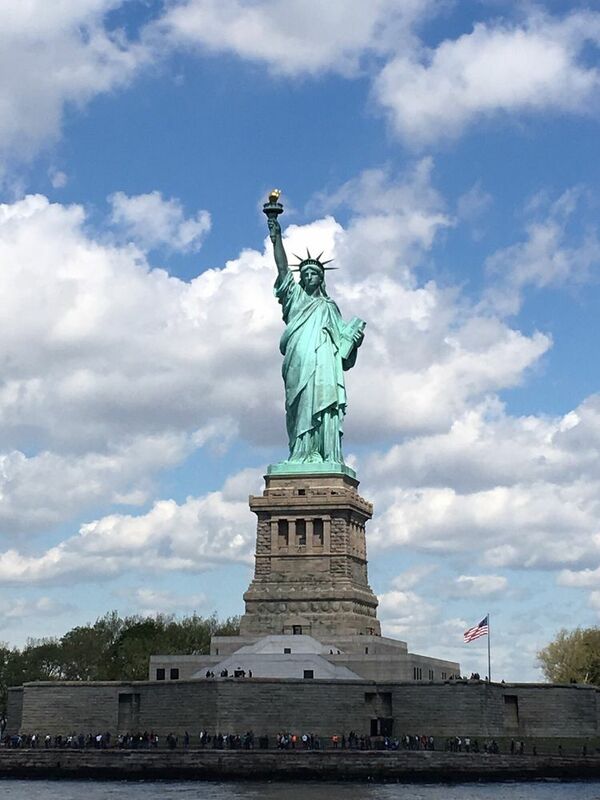 While many other operations offer sightseeing tours that include the Statue of Liberty, Statue Cruises is the only service offering access to Liberty Island. 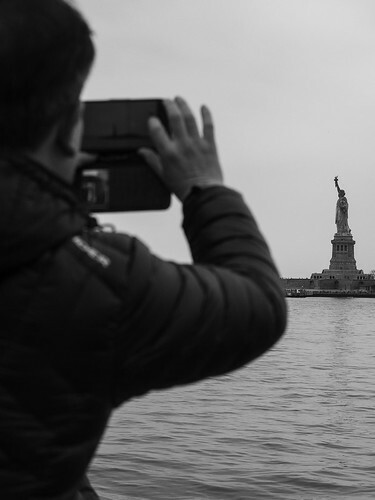 Free tours are lead by rangers around Liberty Island with no reservations required. 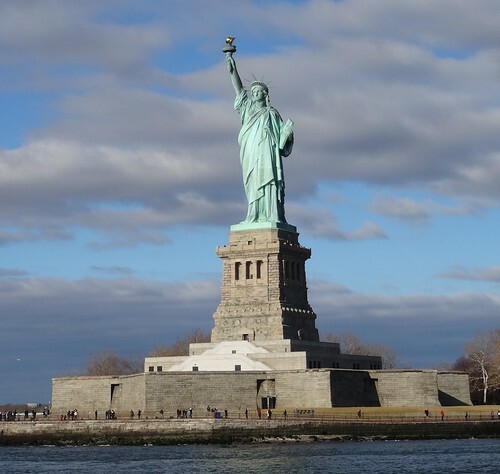 Access to any level of the Statue of Liberty requires advance reservation made through Statue Cruises. 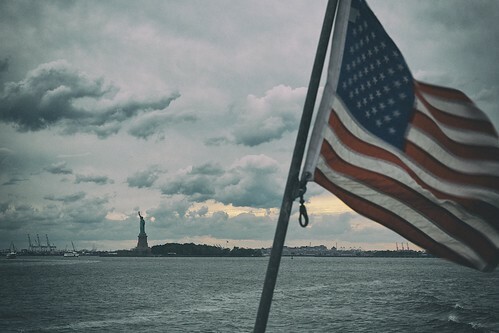 The Statue of Liberty's 11 point star-shaped platform is a granite fortification known Fort Wood was a little used military installation until it was taken over by the National Park Service in 1944. 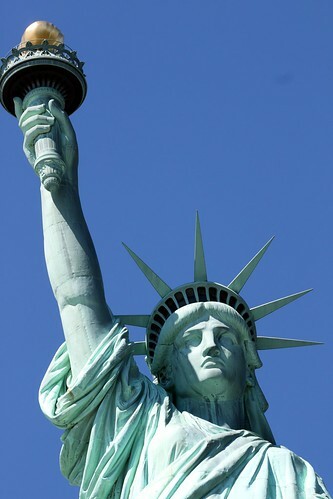 The Statue of Liberty's pedestal designed by Richard Morris Hunt faces the southeast to greet ships entering New York Harbor. 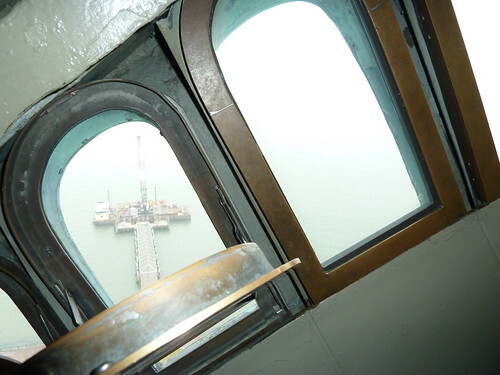 Inside the lobby, an exhibit of the original torch, observation decks and an interpretive historic exhibit, including life sized replicas of the monument's face and foot. Reservations for access to this area should be made at least a fortnight in advance to avoid disappointment. 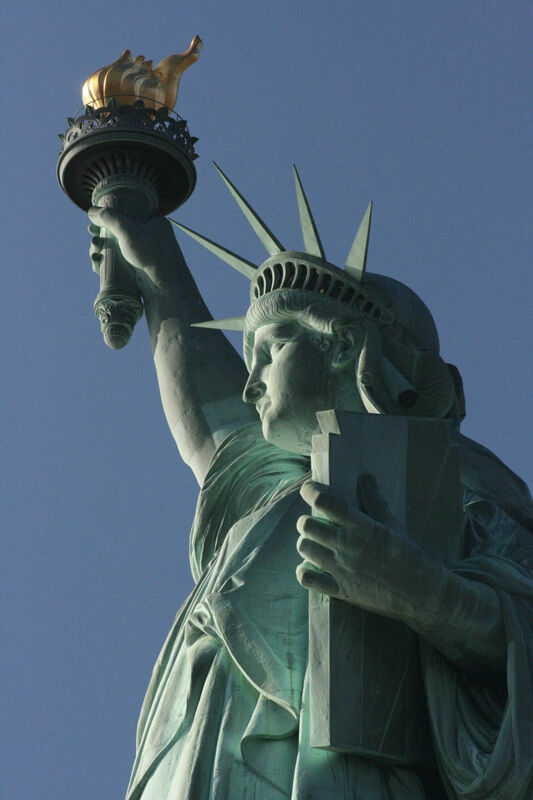 Access to the Crown was made available on July 4, 2009, following a closure in response to the September 11th terrorist attacks. 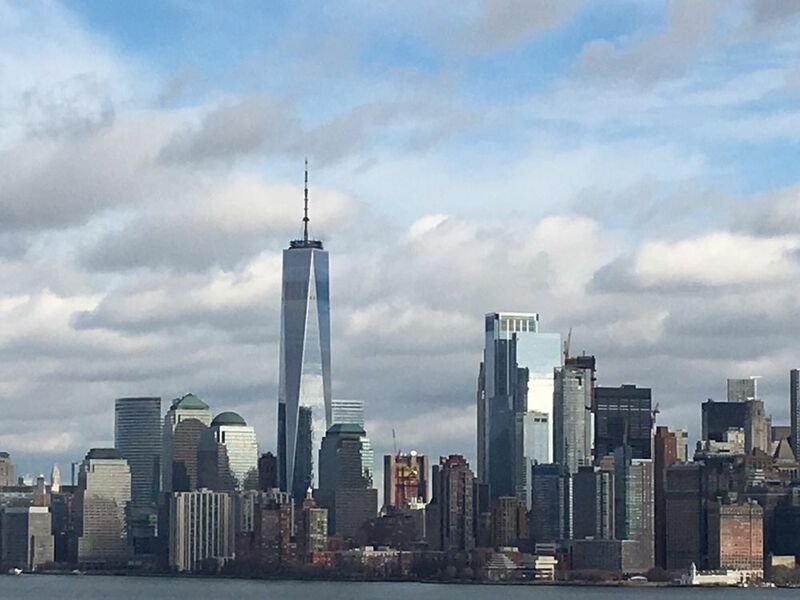 Visitors can climb the 354 stairs to the Statue of Liberty's crown of seven spikes, representing the seven continents and oceans in the world. 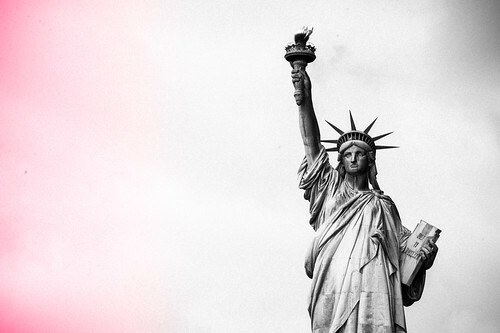 Reservations should be made months in advance to avoid disappointment. 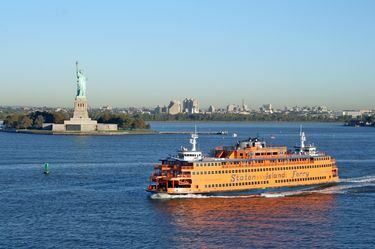 Look for the Statue Cruise Ticket Office is located inside the Castle Clinton National Monument in Battery Park purchase the Liberty Island ticket.